As we climb higher and higher, leaving the jungle terrain behind and entering the pine trees, the villages start to change and urban Nepal seems far away. The trek will take us up to almost 18,000 feet, the highest point, where the landscape changes dramatically along the way. 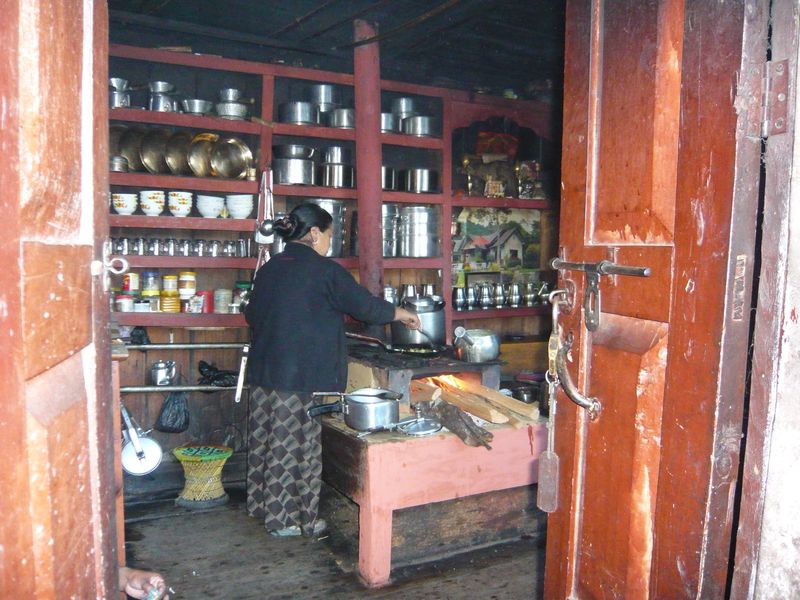 Here are more pictures of the villages we passed through and the way of life in rural Nepal. Picture of our porter, always with a huge smile, leading the way. 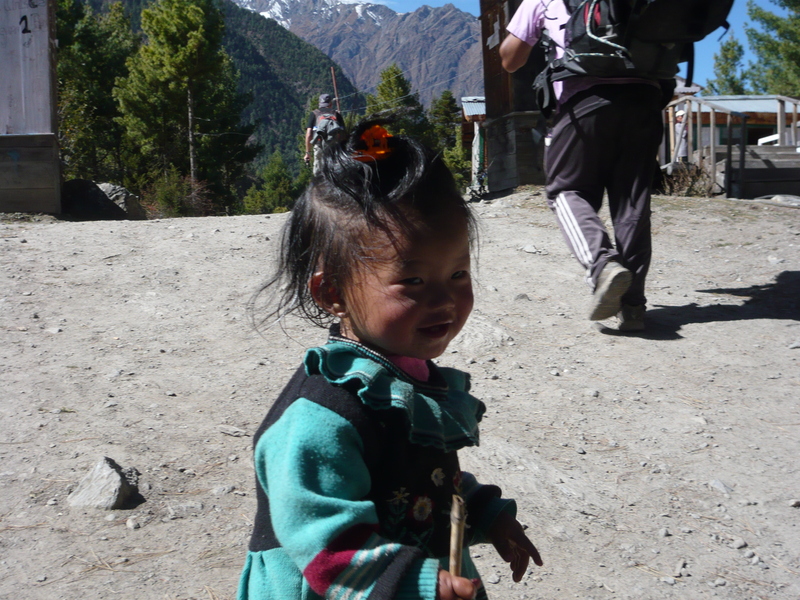 Porters work hard for the short trekking season, often leaving their family and village behind in order to make a living. For many villagers, this is one of the only jobs available that isn’t farming. Great question! 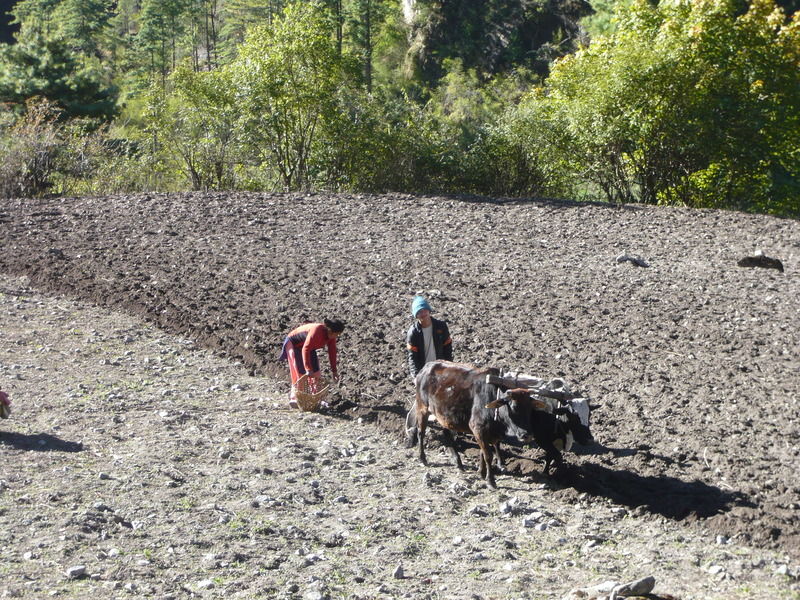 There are two main seasons in Nepal: The dry season is from October to May, and the wet season from June to September. 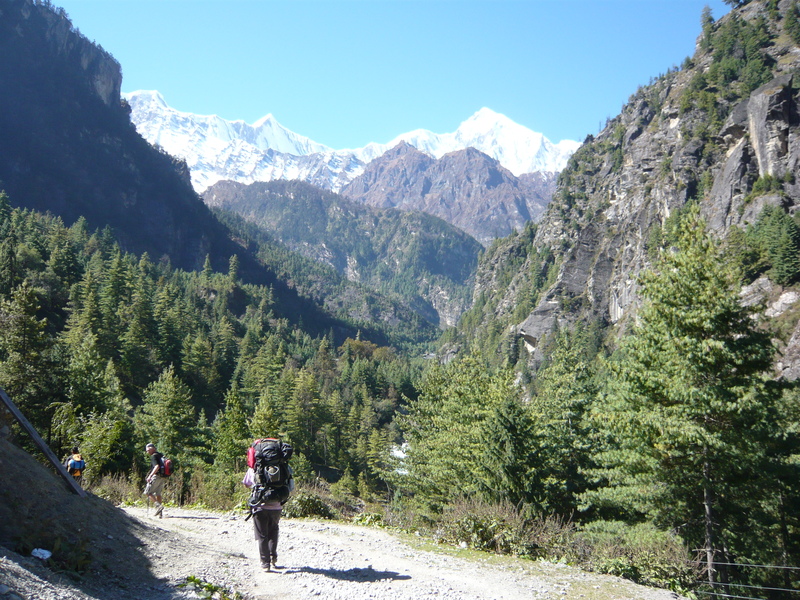 Thus the best time to visit Nepal is from October to May when you will have the nice dry weather. If you are interested in trekking, the weather windows are even smaller. 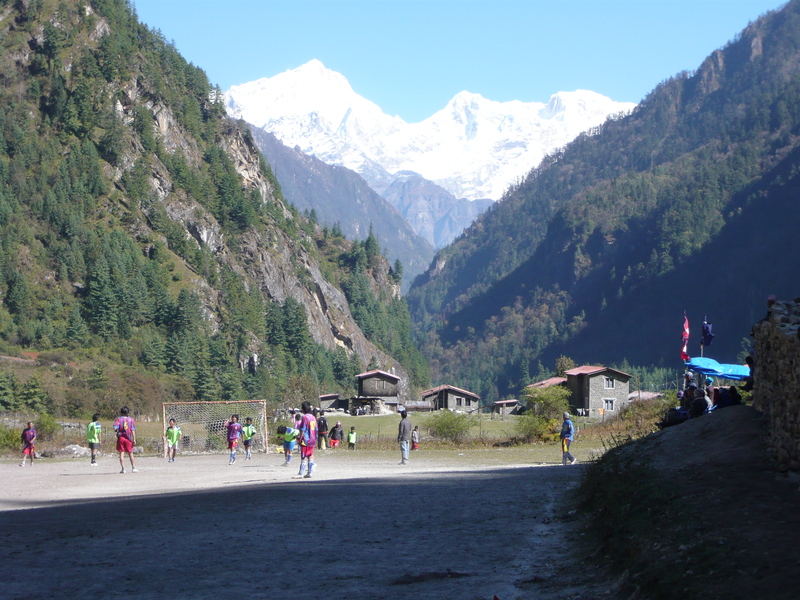 Fall in Nepal runs September to November and you get nice, clear dry days and those lovely bright blue skies. 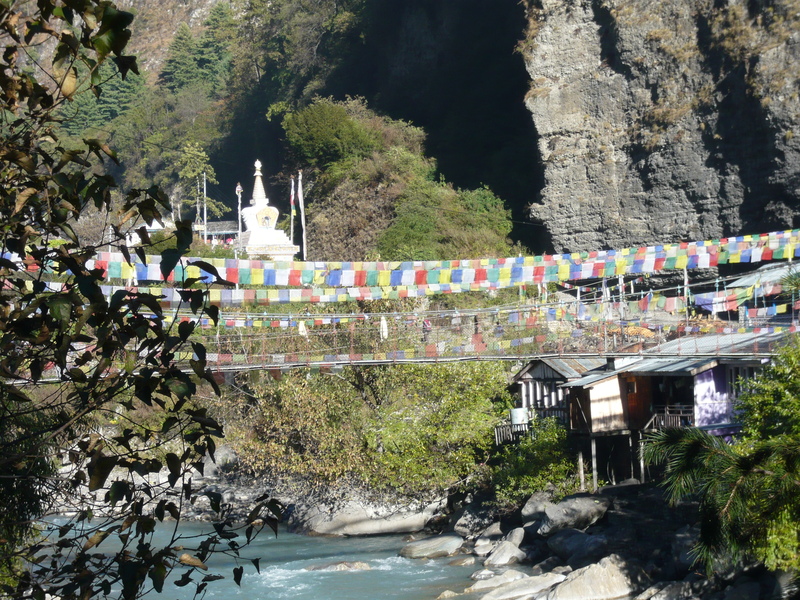 It is relatively warm in Kathmandu (80s) however it is perfect in the mountains. Spring runs March to May and also has gorgeous weather. We went in late October to early November and our weather was absolutely spectacular the entire two weeks (except one day). We had brillant blue skies, cloudless views of the mountains and very pleasant temperatures. As we got higher, it of course got colder but still wasn’t too bad. There was only one day where it snowed. I’ve heard the moonson season is not a very good time to visit, especially if you want to see the gorgeous mountain views. 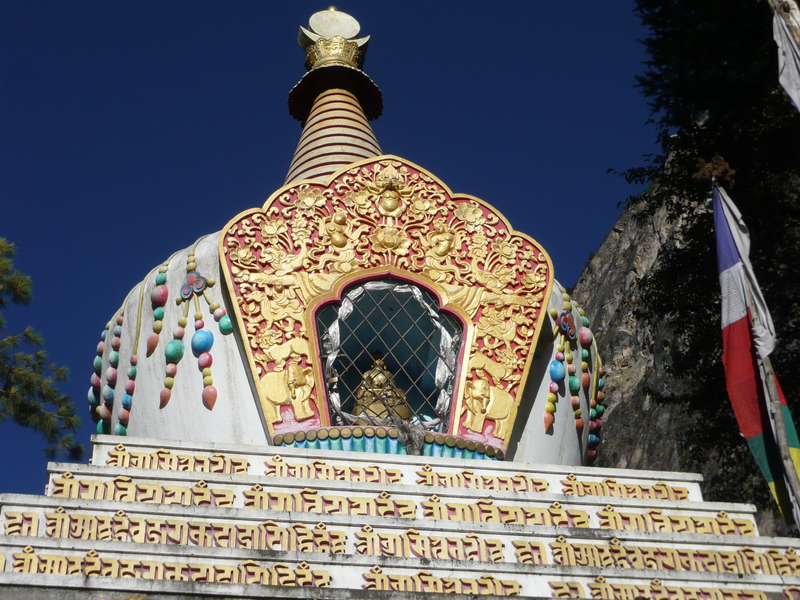 If you are interested in visiting, I highly recommend purchasing or viewing online the Nepal Lonely Planet. Thanks for the info! I’m free to go only during August and December. So probably December would be a better option, right? Yes, I would say go for December as I was there in early November and the weather was perfect. I’m not sure if you can do much trekking that late (december) but it is still a nice time to see everything else. If you are interested in trekking, i would contact a company to make sure they still go in December. I think it really depends on snow and weather. Have fun!